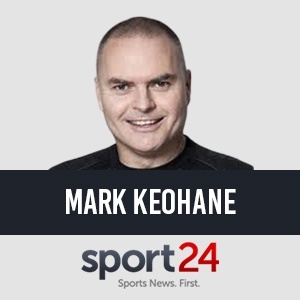 A judgement on the Springboks will only be made once the English three-Test series against England is completed, but what the one-off Test against Wales emphasised was that the depth of international talent in this country does not match the hype. There is an inflated sense of description when it comes to many of players spoken of as Springboks. Bok coach Rassie Erasmus blooded 13 new Springboks against Wales. He had two training sessions with the team, while also working with a different starting XV that will play England in Johannesburg this Saturday. There must be perspective in what has transpired in the build-up to the opening two Tests. The England performance is where the Boks and Erasmus’s immediate impact will be measured. He would have had two weeks with the squad, it will be a home game and it will be the 23 players he deems to be the strongest available. The match against Wales reminded me of those so many awful Springbok midweek performances in years gone by. The international schedule these days doesn’t allow for Springbok midweek games, but the team picked to play Wales, and the nature of the game was so akin to everything that is unfashionable about these types of matches. The ‘dirt trackers’, as the second stringers are affectionately referred to, are invariably a mixture of kids and oldies who were hardened first class players but never quite good enough to regularly play Test rugby. The Boks against Wales had very few hardened first-class players and many youngsters. There was a sprinkling of Test quality stars, with the obvious one being Stormers loosehead prop Steven Kitshoff, who is world class. Kitshoff is one of the best in the business, whether he starts or provides impact off the bench. He has for some time been the in-form prop in South African rugby and this season has been one of the best in Super Rugby. Kitshoff was in a different class to Ox Nche, who made his debut against Wales. Nche is a talented young player but his conditioning was shown up and also his inexperience. His work-rate was not of Test match standard and he now knows what he has to do to get back into the Springboks mix. Currently, he isn’t there. What the match highlighted for me was how many players are not quite there yet when it comes to Test rugby. Wales were as inexperienced and the line-up that played the Boks also was of the dirt tracker variety. However, the mental pressures and the emotional demands of knowing it was a Test match is what the respective coaches would have evaluated. And it’s here where many players were floored. The most surprising implosion came from reserve flyhalf Robert du Preez. I rate Du Preez highly and I am sure he will still enjoy a productive and inspiring international career, but it couldn’t have gone worse for him in those final two minutes. He had two kicks charged down, the second of which led to the Welsh match winning try. He threw what looked like a forward pass and then also through one wobbly one that Jesse Kriel did well to gather. Du Preez’s debut was simply messy. The big disappointments for me came in the starting pack. Oupa Mohoje’s decision-making and appreciation of the laws at the breakdown was poor, and in instances he just seemed lazy in his execution. Nche was just off the pace, Kwagga Smith was industrious but he could be a case of too good for the second team but just not good enough for the first team. Jason Jenkins is not Test quality and Wilco Louw’s work-rate has to improve. Dan du Preez was inconsistent and made a few basic howlers. Ivan van Zyl at scrumhalf has the attributes to provide a strong kicking game, but his accuracy was off and his predictability required absolute precision in where he landed his box kicks. A poor box kick simply gives the ball away, and the Boks in the opening 40 minutes simply gave away the ball. The Test would have been a feast for the anti Elton Jantjies and Jesse Kriel gallery. The duo did themselves no favours. They were poor. Both wingers were enthusiastic but their inexperience as a duo and as a back three unit was also shown up. It is why Willie le Roux will start at fullback against England. Curwin Bosch was indecisive and Warrick Gelant was equally inconsistent in his application of when to run and kick. Gelant’s attacking enthusiasm won’t be curbed but he needs to have a greater regard for field position and the consequence when playing just off instinct in his own half. Andre Esterhuizen (at inside centre) was the surprise package for me. He looked like an imposing Test player. Kitshoff was huge and Marvin Orie added X-factor when replacing Jenkins at lock. Ambrose Papier’s athleticism was again evident. But on the evidence of Washington DC, only a handful of players will feature against England and, of those, only Kitshoff could claim to be good enough to start. That’s the perspective from the first up defeat. It’s not an excuse but a reality that many of those who travelled to the USA won’t be travelling to Bloemfontein and Cape Town for the final two Tests of the England series. What the Welsh Test showed emphatically is that South Africa’s current Test player pool is closer to 25 than 42.